The Book of the Month feature has been temporarily suspended. This page lists all previous Books of the Month, most recent first. To read the review, select either the title or the thumbnail cover image. These books should be available from your local Christian Bookshop; for a few, you may need to search elsewhere. If you’re not sure where your nearest Christian Bookshop is, please check the Town & City Index. If you can’t find a shop nearby, most titles featured should be available from eden.co.uk. Israel’s crimes against humanity must always be seen against the backdrop of the equally terrible crimes of humanity against Israel. But does this make those crimes – its ongoing abuse of the Palestinians and, as I revisit this review at the beginning of 2009, its current assault on the Gaza Strip – any less offensive? I invited Alan Mann to tell us about his new book – and that’s precisely what he’s done. So not a review but an author’s story. Read, enjoy, then get on down to your nearest Christian bookshop to buy and read the book – because the challenges Alan sets before us here are far too important to ignore. July 2008 What am I doing here? What we have here is a real gem of a book: an introduction to church that starts where we are rather than where the church is, and which bids us welcome even when the church itself seems to delight in building obstacle courses. At the heart of this book lies a very simple belief – the heart-cry of today’s generation tired of the old way of doing church – it is this: the gospel is to be performed and not just proclaimed. With no simple platitudes to placate us, and no seven steps to perfecting forgiveness to follow, this book is a hard, even harrowing look at the reality of what it means to be hurt and be able (or in some cases, unable) to forgive. In less than 100 pages the McGraths do a far more thorough job of dismantling Dawkins than Dawkins does of dismantling God in his 400 page bestseller, ‘The God Delusion’. A practical and helpful guide to anxiety: a valuable resource for those suffering from it as well as for those working to alleviate anxiety in others. 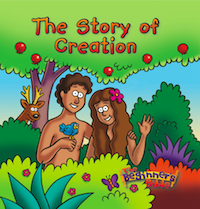 This colourful book is a must-have for any young Christian family for the Advent season. In these days of mass commercialisation of Christmas, it’s great to find an alternative to chocolate advent calendars, which has a solid Christian message for children to engage with during the run up to Christmas. Everywhere, Hart’s language is electric and his style energetically lucid and deeply polemic. Indeed, and as one blogging friend put it to me recently in private correspondence, it makes reading anyone else rather boring by comparison! Living in turbulent times, it is becoming increasingly difficult to navigate the ethical challenges confronting a believer living in the post-Christian 21st-century. This book is a welcome resource in a time where relativism and personal freedom blur the biblical lines of morality. Brian Draper, a graduate of London School of Theology and lecturer at the London Institute for Contemporary Christianity – as well as frequent BBC Radio 4 ‘Thought for the Day’ presenter – offers us 32 pages of thoughtful and biblically focused reflections on the iPod. In an age of terror and unreason, in amongst the twisted thorns of heavy theology and even heavier gunfire, this book shines like a ray of sunlight, restoring faith, resetting priorities, renewing hope. May 2007 How Many Light Bulbs Does It Take To Change A Christian? A booklet that pulls you up short with simple reminders of how easy it can be to make changes for the better at a personal, church and community level. Prepare to read the Bible as you’ve never read it before – totally mind-blowing, the Word of God alive and active, cutting edge as sharp as a Samurai sword. Through popular heroes and villains, this book shows how faith and hope versus fear works to influence human attitudes and actions. At a time of year when church attendance soars, this volume presents a superb opportunity to breathe new life into old services which church leaders can ill afford to ignore. These accounts stand as powerful testimony to the resilience of the human spirit and as a reminder to us all of the terrible price of war, a price that we must never forget. Simply brilliant… Wright expresses deep and complex ideas with great clarity. A book so remarkable that it receives not just one but two reviews, by Conrad Gempf and by Phil Groom. A small book with a powerful punch which gets to the bottom of the questions raised by The Davinci Code. A superb book that will crack you up with laughter one moment and pull you up short the next as you find yourself and your attitudes caricatured in its pages. A beautifully-presented series of poems and reflections for private and corporate worship use. Spirituality tuned in to reality: just what the doctor ordered to get the new year off to a good start! Looking for a Christmas gift book that connects with the true Spirit of Christmas? Look no further than J John’s Christmas Compendium! Packed with creative ideas for evangelism in the real world, this is too good a book to miss! If you only read one Archbishops’ Council report in your entire life, make it this one. Avoid this book at all costs: it’s dangerous. An astonishing and superb retelling of the story of Noah’s Ark. If you only read one faith-related book this year, make it this one. Perhaps the greatest accolade that I can give this book is simply this: it works. Trust your instincts and enjoy your children! November 2004 What Would Buffy Do? Can Christians learn something from the spirituality of a Vampire Slayer? Strips away 2000 years of accumulated tradition & dogma to reveal the real Jesus.